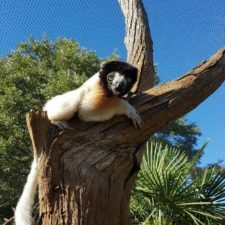 Sadabe connects human health, social development, and habitat protection to help protect lemurs. Sadabe seeks to develop novel and innovative ways to promote the coexistence of people and wildlife in Tsinjoarivo (central Madagascar), and elsewhere where humans and wildlife come into conflict. 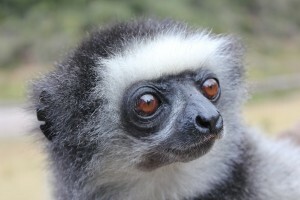 Sadabe – which is also the local name for the diademed sifaka, and literally means “multicolored” and “big” – is as colorful as the lemur after which is it named. Registered in 2009 as a Malagasy nonprofit, the founders of the organization had long been undertaking outreach activities through their roles as prominent researchers in the field. These founders wanted to promote several unique but synergistic activities (research, education, conservation, and development) within an organization that would eventually grow and have a significant impact on the future of both ecosystem health and human health and well being at Tsinjoarivo. Nowadays, the organization continues to grow and works on the principle that conservation only works if you include the will and needs of local people, and deeply understand the ecosystem that you are trying to protect. 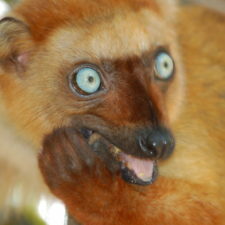 What lemur species does Sadabe protect? 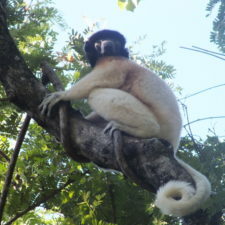 How is Sadabe protecting habitat for lemur conservation? 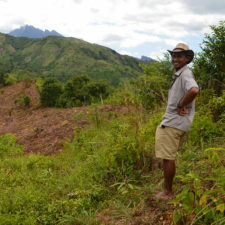 Funded by Conservation International, Sadabe founded the Mahatsinjo Reforestation Initiative starting in 2005. In collaboration with local government agencies and communities, they identified 12 areas that would be suitable for reforestation efforts. 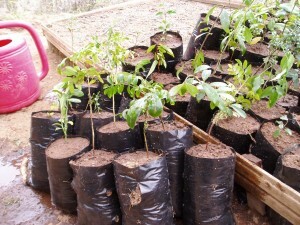 As a result of this project, over 55,000 trees were planted, more than 40 individuals were given part-time employment, and 7 habitat corridors were created which aimed to connect different forest patches with each other. These corridors now help lemurs and other animals to travel between the forest patches and increase their ability to resist the negative impacts of local agriculture and other threats. The organization of Sadabe includes both foreigners and Malagasy people working in concert. 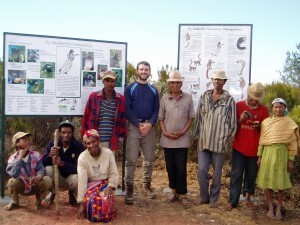 Throughout their research and their programming, they have solved problems by consensus, with strong voices from Malagasy scientists, government officials, our employees, and community members at many levels. For example, Sadabe works in concert with local communities in central Madagascar (Tsinjoarivo) and also partners with two local organizations: Maitsoanala (a research and tourism guides’ association) and Taratra Reny sy Zaza (an association of midwives and women focusing on women’s and children’s health). Sustainability is a key pillar of all past and planned activities. As part of Sadabe’s ongoing commitment to social development, the organization has worked on both education and healthcare programming in the past. For example, Sadabe facilitated the donation and staffing of an elementary school near their study site (in Mahatsinjo); this school was the first public school in the area and increased the likelihood that students would be able to receive a minimum level of education. The organization continues to undertake several outreach and educational activities in this and other communities that have reached thousands of individuals, including an English-language programs and t-shirt giveaways. 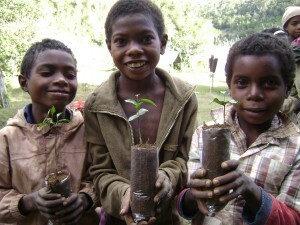 Some of Sadabe’s education programming was conducted in partnership with the Madagascar Ankizy Fund. In regards to healthcare development, Sadabe facilitated – in partnership with the Madagascar Ankizy Fund – the provision of dental care services to hundreds of individuals. Without these services, these communities would have had to travel over 75 kilometers just to visit a dentist. Given Sadabe’s emphasis on research, the organization also provides training for both foreign and Malagasy university students. This helps build capacity in the next generation of scientists, and allows them to get an up-close and in-person look at what is takes to research and conserve endangered lemur species. In addition, Sadabe has worked with local communities to teach them English and French and help them learn how to become tourism guides.